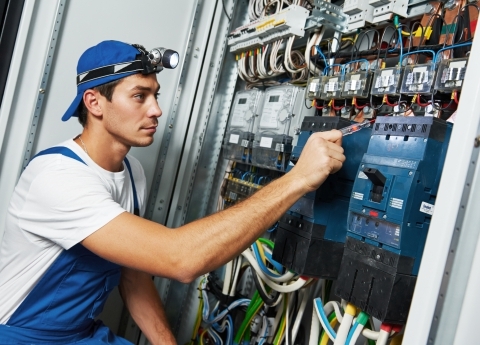 Electrician Cincinnati: Do You Need to Update Your Electrical System? Is your electrical system in need of an update? #1. Your home is over 40 years old. Technology has come a long way over the past 40 years. Older electrical systems were simply not designed to handle the appliances we rely on today. Additionally, an upgrade comes with increased reliability and safety. #2. You have ungrounded outlets. If your outlets are ungrounded, they will have two prongs instead or three. The fact of the matter is that ungrounded outlets are a safety hazard. However, if you replace those outlets with grounded outlets, you need to make sure that the ground wires are connected. If you get shocked or experience a tingling sensation when you touch your wall outlets or light switches, it means that your electrical system is having a hard time keeping up with your usage. As we stated earlier, older electrical systems were not made for the way we use them today, which is why we tend to see more electrical fires in homes with older electrical systems. #4. Your fuses get tripped or blown frequently. If you are having to reset your fuses on a monthly, weekly or even daily basis, it means that you are plugging too many things into nearby outlets. You should not have to reset fuses very often.